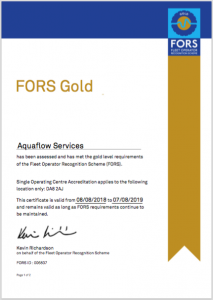 We are pleased to announce that our Gold FORS status has been renewed for another year following much hard work from our Transport Manager (Louie Dadomo). At AquaFlow we take our responsibility on the roads and our duty of care to those using them extremely seriously and are all very proud of this accreditation, as we are of Louie’s efforts to ensure we maintain the high standards we have previously set. It was very difficult one this month as there were several nominees who all received very nice compliments. However, Our Employee of the Month for June is Tommy Adams. 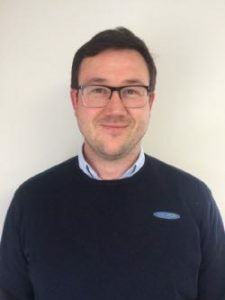 Tommy has a fundamental role in our team in the Quotes Department and is constantly sending out Quotations/RAMS whilst also dealing with many other administration requirements. He is always very helpful to all staff and assists them as much as he can. Tommy also forms an integral part of the team at Head Office and his efforts over the past calendar month have been recognised by several members of the team, which has been reflected by the number of votes he received and subsequently this month’s award. Congratulations Tommy, we glad that your hard work has been recognised.